It’s a fact that trees get old and sick, and the time comes that you either have to pull them out or face the danger of them toppling in a wind storm. 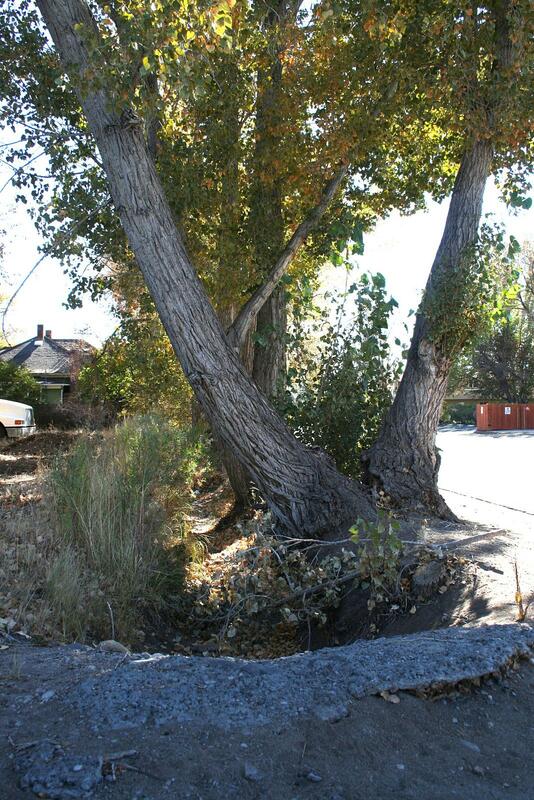 That’s the case with many of the old cottonwoods around downtown Minden, and that’s why many of them are being removed. 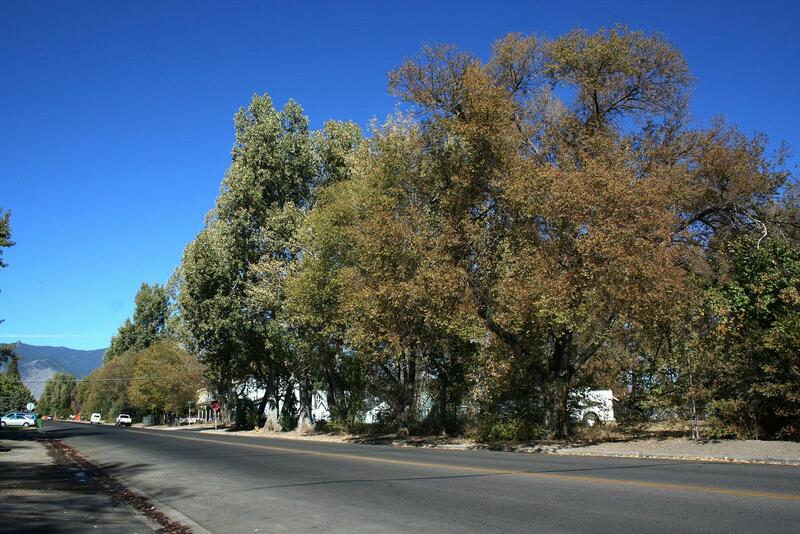 Several of the large trees that line County Road are coming out, as part of a larger project to put in sidewalks and send the old irrigation canals in that part of town underground. 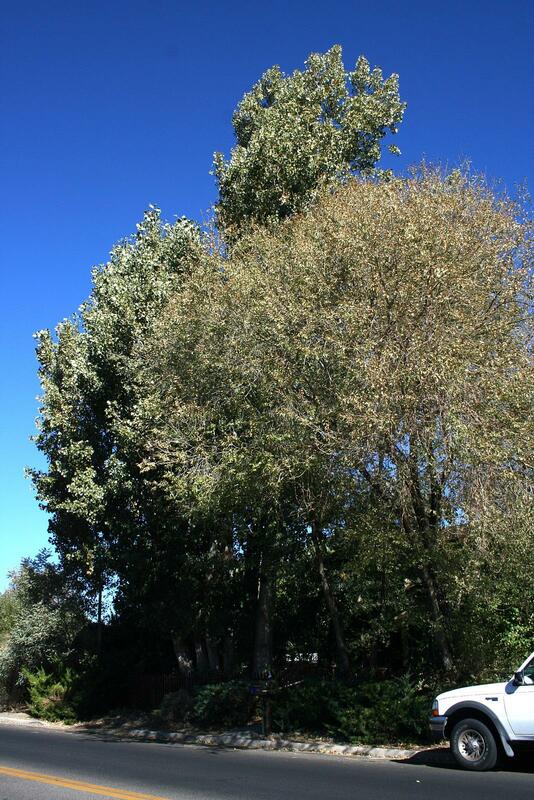 The cottonwoods between First and Fourth, seen above, will be cut down by the end of the month. 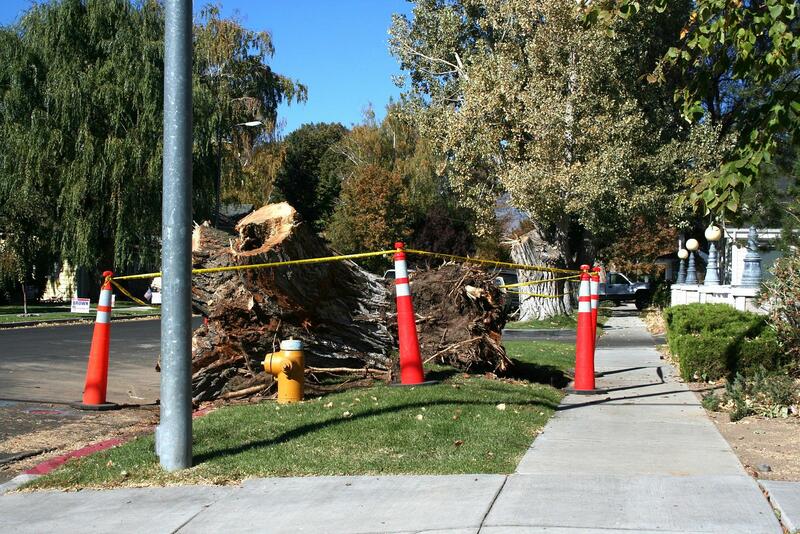 Kind of an ignoble end to the trees that have probably been around for the better part of a century. 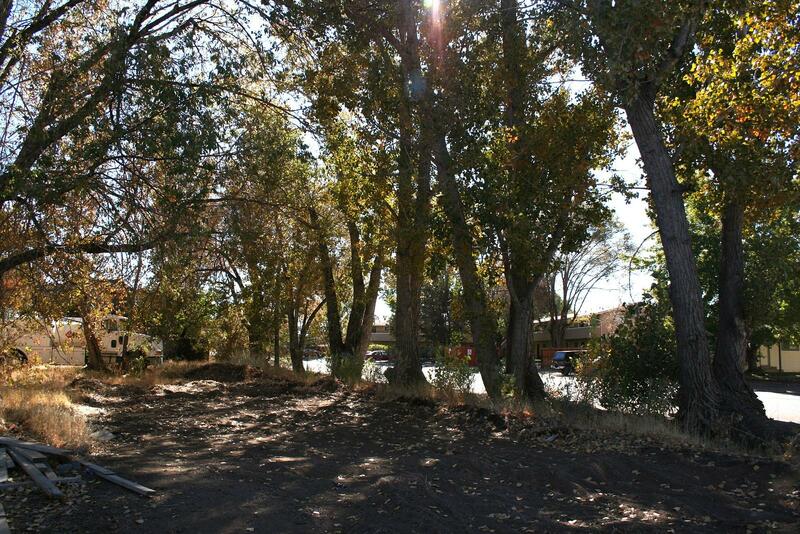 The ditch that runs along County Road is part of the old irrigation systems that used to (and still do) distribute water from the Carson River all over the valley. The land that Minden sits on used to be part of the Dangberg Ranch, but I don’t know if there are any records showing if these trees were around before the town was founded in 1906. The main thing is, they old, and with trees old means stately but it also means hazardous. So unfortunately, it’s time. 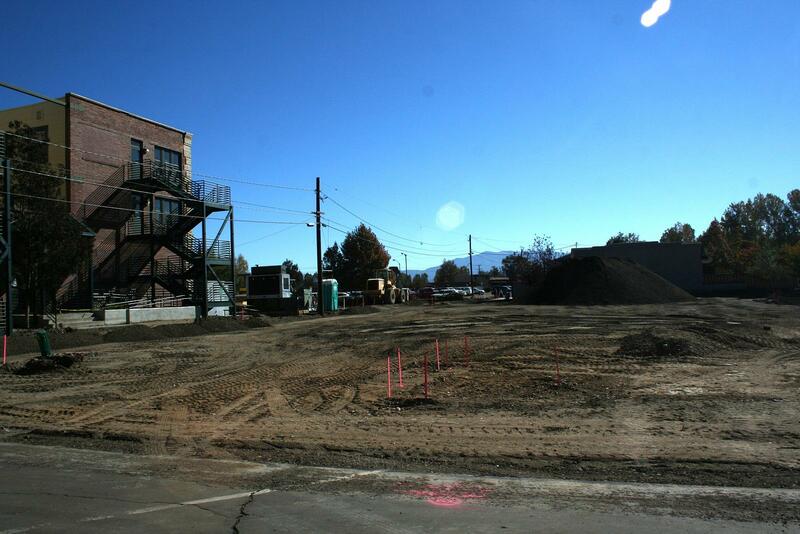 This irrigation canal will be put into an underground pipe, and a sidewalk laid along here. Some nearby trees have already met their fate. Back behind the Minden Inn (which houses the county offices) there used to be a small parking lot under the shade of several large trees. 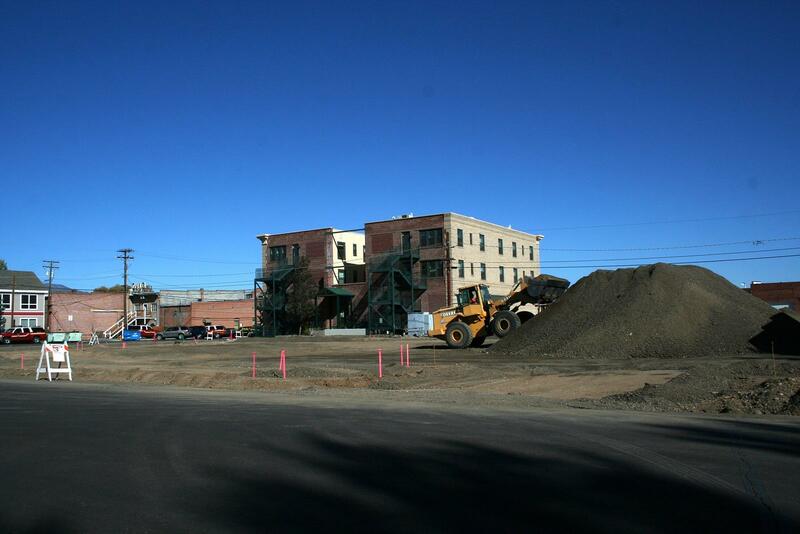 This site was long planned to be the home of a parking garage which would have solved the parking problems in downtown Minden for decades to come. But it was finally decided there was no money for a garage, and they would just go for a surface lot instead. 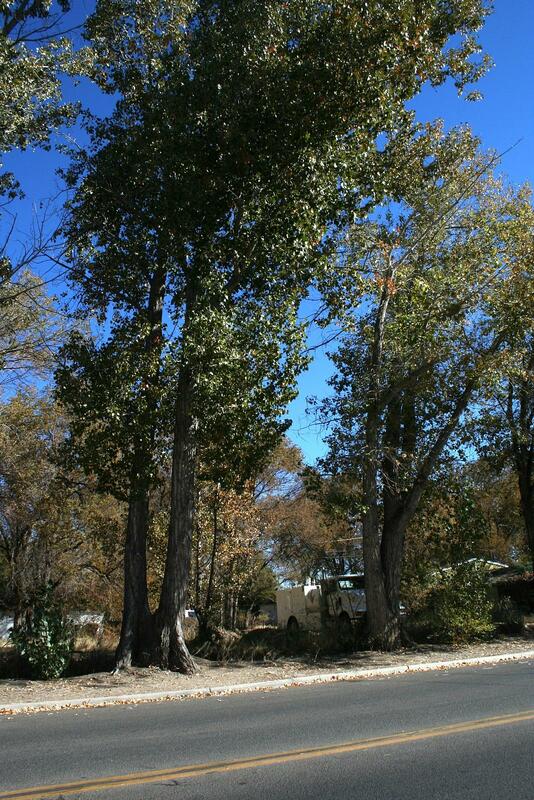 Both plans, though, called for the trees to be pulled out. That was done earlier this month. Downtown isn’t going to stay bare forever, though. These trees may be coming out, but next spring, after all the paving and sidewalks are done, new trees will be planted in their place. They won’t be as stately at first, or as shady, but they’ll grow, and they should be a part of Minden for the next hundred years. For now, let’s just hope the wood from the old trees is put to good use and not just tossed in a landfill.